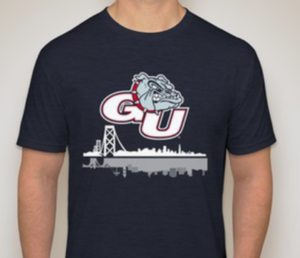 From our roots in Spokane to our home in the San Francisco Bay Area, chapter t-shirts are now available to benefit our local Gonzaga alumni chapter and help fund future events! Sizes available are S-XL in limited quantities. Shipping is included in the purchase price – $25. Pickup options and dates are TBD. Look for emails regarding events and availability of t-shirts.